Not more than few weeks until our next fashion show in Ofelia Market Helsinki. The inspiration and theme for our winter show is Steaming Siberia. We're looking forward to that because our models are the prettiest kind, music is gonna be loud and of course, the outfits are going to be absolutely gorgeus. So much to do but the time is fleeting. 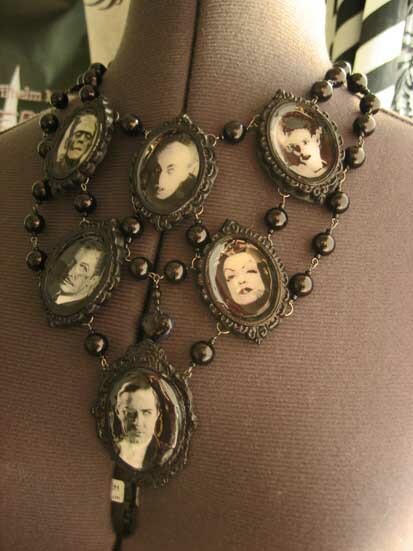 New ideas coming every day and there will be limited edition of Masters of Horror- necklace and some new mourning jewellery for december.